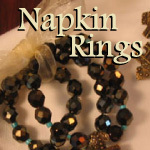 This napkin ring set is truly unique and different. 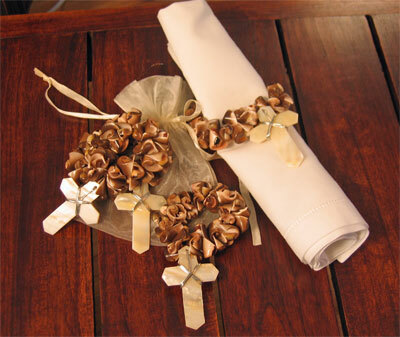 Each napkin ring has been skillfully made by hand using shells and a shell cross. They are fun and sassy… and a must have for those who use their gift of hospitality by hosting dinner parties.